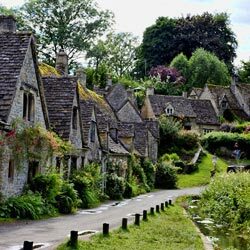 The Cotswolds are defined as the range of limestone hills that run for around 100 miles (150Km) from near Stratford-upon-Avon to near Bath. 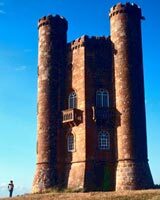 A steep escarpment known as the Cotswold Edge delineate the region to the north and west from the Severn Valley and the Warwickshire Avon. To the east the city of Oxford marks the boundary and to the south the Thames Valley with towns such as Cirencester, Lechlade, Tetbury and Fairford. The Cotswolds was (rightfully!) 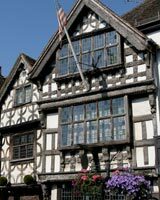 designated an Area of Outstanding Natural Beauty in 1966. 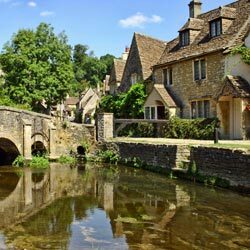 Also known as 'The Heart of England', the Cotwolds is a region of beautiful gently rolling countryside, scattered with countless picture-postcard villages and hamlets such as Bibury, Upper/Lower Slaughter and Broadway. 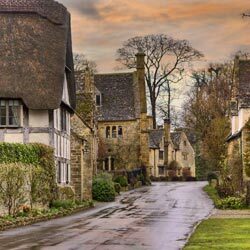 The areas unifying feature is the Cotswold stone from which the local houses and churches are built. 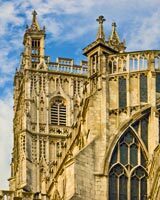 A form of limestone, it is best known for its golden/honey colouring, although this tone varies considerably throughout the region. 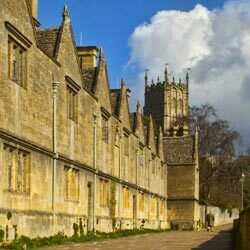 The Cotswolds grew up around the wool trade, which dates back as far as the Roman era. 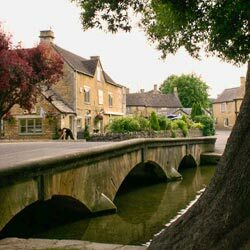 It was during the Middle Ages that the area saw the greatest influx of wealth, however, the Industrial Revolution saw the Cotswolds importance diminish. 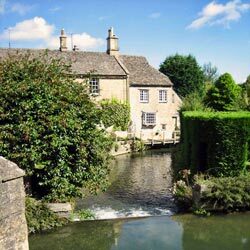 Choose from a range of accommodation throughout The Cotswolds. 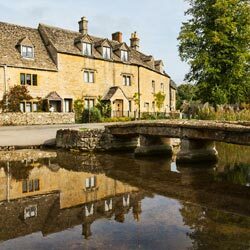 There are no shortage of things to do in the Cotswolds from the beautiful rolling countryside and villages to family favourites. 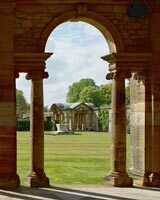 The Cotswold Guide attractions section contains extensive listings of all the best sights and days out in this delightful corner of England.